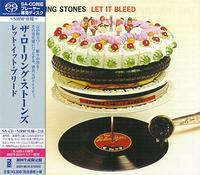 Released in 1969, Let It Bleed is regarded by critics and fans as one of the best and most important rock albums of all time. With the departure of Brian, the guitar and country leaning of Keith come to the fore. This landmark recording contains some of the group's most mature and startling writing. It seemed to sum up the decade.